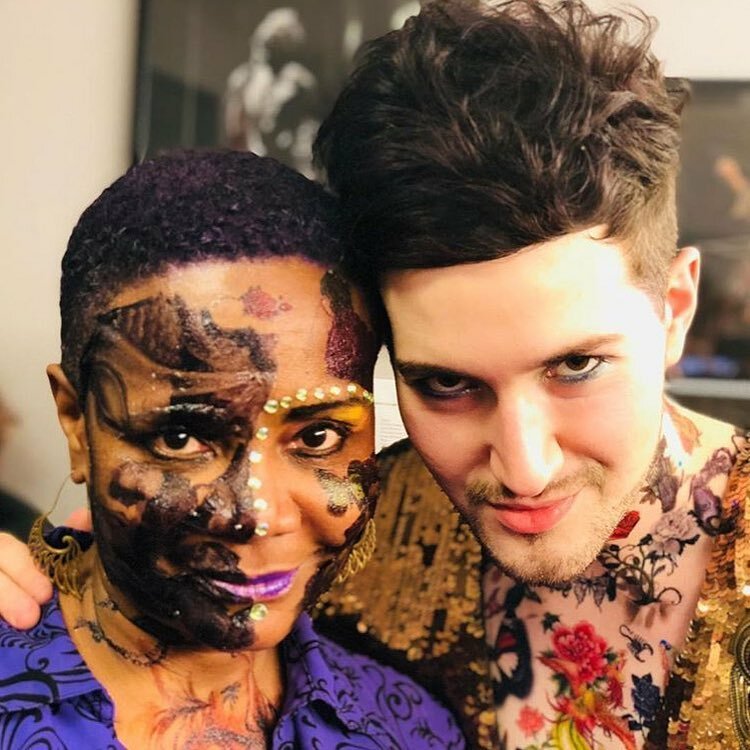 On Sept 25th we kicked off the Joe's Pub residency with a fierce sold out show dedicated to The Tattooed Lady, a new musical I'm writing with badass tattooed playwright Erin Courtney and directed by Ellie Heyman. Going into this concert I was definitely feeling the pressure bc of the chaos of having to find a brand new MD 3 days before our show (thank you to Rodney Bush who stepped in and delivered majorly!!!) & caring so deeply about this show and the history that inspired it and wanting to do it justice. 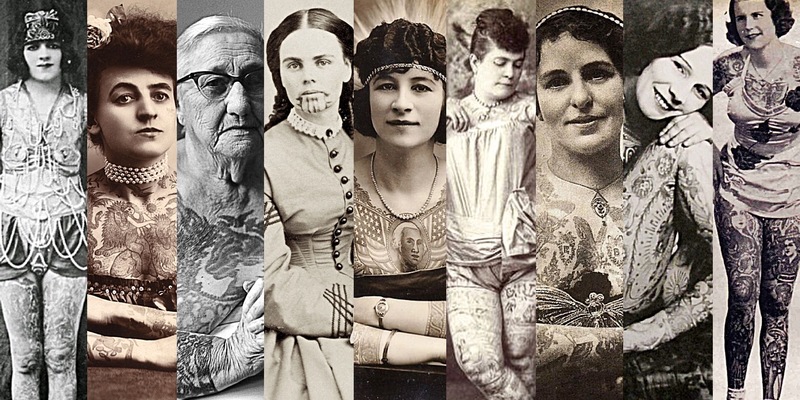 But our tattooed ladies delivered and then some. Just tryna make these badass women proud! Guests included: Annie Golden, Daphne Rubin-Vega, Tonya Pinkins, Gizel Jimenez, MJ Rodriguez, Veronica Swift, Chrissi Poland, and Julia Abueva. Temporarily tattooing my entire body only took 23892083012 hours, but it was worth it for this epic reveal. Also spanx are a crime against humanity and It's a miracle I managed to get these on and off backstage in time for the next song. 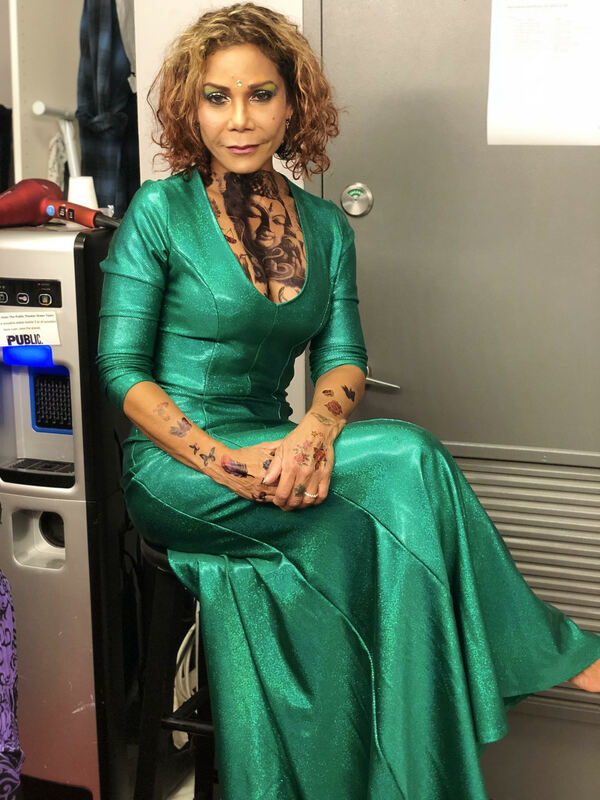 Lest anyone question her commitment, while most of the cast tattooed their bodies, Tonya went in and did her damn FACE!!! Annie Golden sang the finale "The Last Woman Standing"